Language is one of those things that people tend to be concerned with when writing science fiction and fantasy (mostly in fantasy), and yet how many SF&F authors are linguists? It’s quite possible that this is a natural outgrowth of trying to show a radically different culture from our own; or it might be that the godfather of fantasy, J. R. R. Tolkien, the Professor himself, put so much work into his languages. 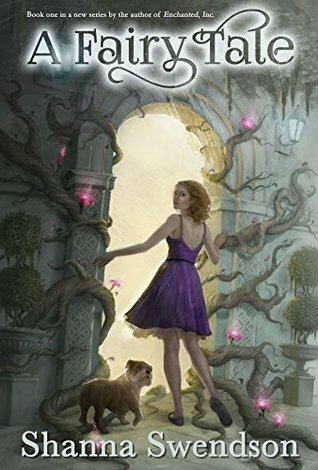 Recently, I gave you all a review of Shanna Swendson’s Enchanted series, an urban fantasy romance set in a version of New York where wizards, fairies, gnomes, and elves live among unsuspecting humans, hidden by magical illusions, with lives both astonishingly similar and predictably different from reality. My future co-author Elizabeth Hajek has given her own enthusiastic verdict on the series, and I should note she hadn’t even finished the sixth book before deciding to endorse it. Well, while I waited for Swendson to publish the next book in the series, I decided to take a look at what is currently the only book in a separate series written by her, titled simply A Fairy Tale. This is similar to Enchanted because it takes place in New York, it’s a fantasy, it’s women’s fiction with significant cross-gender appeal, and it’s very good. It’s different because it’s adventure rather than romance; it’s urban fantasy only in that some of it takes place in New York; and it’s not as light and humorous as Katie’s adventures with Magic, Spells, and Illusions, Inc.